A group for people who think there is no thrill like jumping from a platform with only a rubber band attached to their legs. It features support, personal stories and experiences, advice, forums, videos, pictures and resources from people just like you. So ask questions, plan a trip or dare a friend to bungee jump! All those who are interested in heading to Rishikesh for Bungee Jumping and Zip Lining in the next two months, please get in touch. 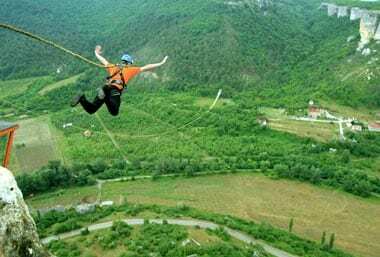 Know more about popular options for Bungee Jumping in India. 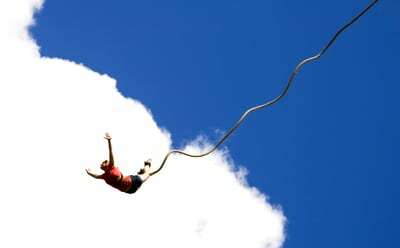 A bungee jump almost entirely consists of an elastic rope, which is actually a braided shock cord, tied to the ankle of the jumper. 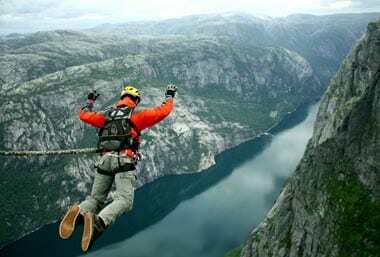 Most bungee cords are made from natural rubber (used due to its elasticity). Two types of harness are used for a bungee jump – a leg harness, which is joined to the cord, and a body harness (back-up for the ankle attachment, for safety purposes). Depending on the height jumped, and also the difficulty of the jump, each bungee operation would have different minimum requirements. Usually, the minimum age is 12 to 14 years (there is no maximum age – as long as you’re fit and healthy! ); the minimum weight is around 35kg, and the maximum around 110kg. If you suffer from a heart condition, epilepsy, high blood pressure, diabetes, or a neurological disorder, or are pregnant, it is advised that you don’t attempt the jump. 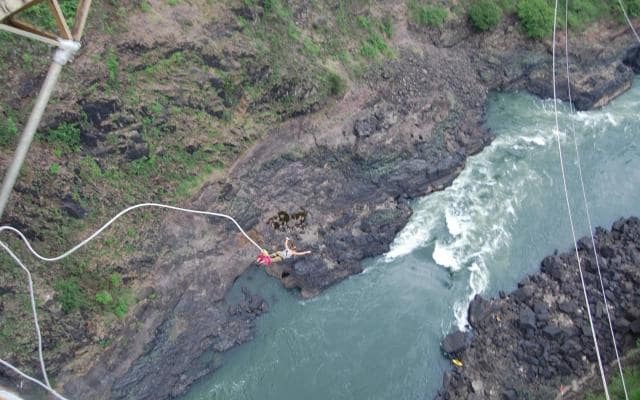 When going bungee jumping, whether in the city or outside the city, remember the two golden rules – do not litter, and leave your immediate environment as you found it. If you see any non-biodegradable waste around you, please clean it up (carry it out with you). And desist from boasting about your daredevilry by defacing the rocks!